Post The Kingsman, there was a lot of debate about whether the oxford worn should be plain or brogued. If you don’t know what this is about, there was a declaration in the film that ‘oxfords not brogues are the creed of the Kingsman’. The idea for such spies was to be an exceptionally well dressed by Saville Row. To be fashionable but forgettable. Lets decipher what the context is by breaking down what those words actually mean. 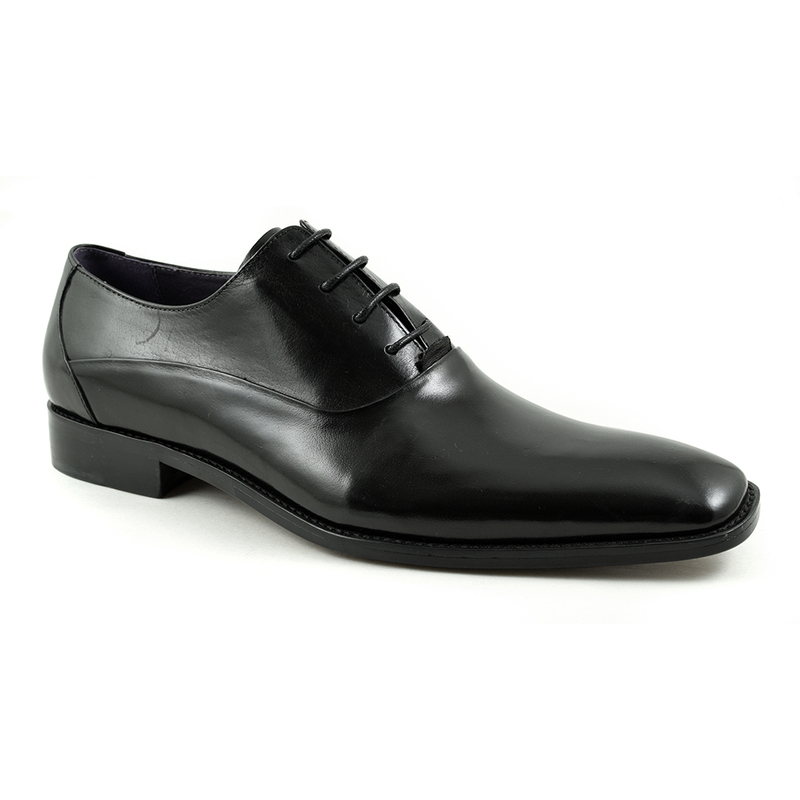 An oxford is a style of shoe determined by the lacing system. If the laces are closed that denotes an oxford shoe. Traditionally it was a plain oxford that was worn with formal attire in business situations. Also, at a black tie event, it would have been appropriate to wear a plain patent oxford with a tuxedo. Now brogues actually denote the detail on a shoe. If a shoe has holes or perforations that is indicative of a brogue. Traditionally there would be heavy detailing with a wing tip and medallion (detail to the toe cap) and there could be more to the side or even to the heel of the shoe. This sort of shoe is more country in its origins and therefor not considered as formal. The reason for such heavy perforations was to drain water from the shoes of our Gaelic ancestors. Over time, they became more acceptable to wear about town. Over the years, the styles have married and now we have many different designs for men to play with. 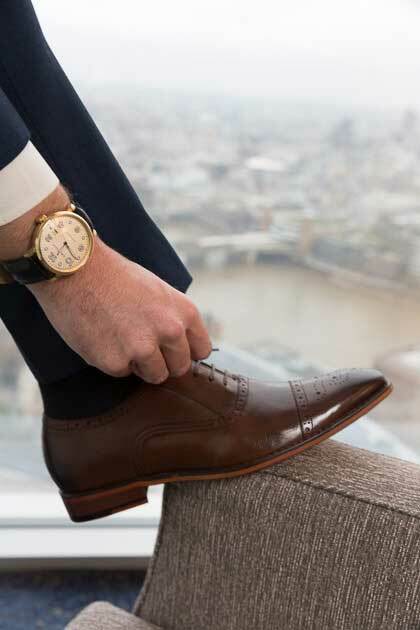 There is no reason why a formal shoe cannot be an oxford AND have brogue detailing (unless you are the Kingsman of course!). What is important to recognise is the more broguing the shoe has the less formal it is. So the hierarchy of formality has the plain cap oxford sitting a the very top of the totem pole in the colour black. Then you can have a brogue but semi brogue or Adelaide ( just some brogue brogue trim) with the full brogue at the bottom. As we said, black is more formal but brown is acceptable too. See this article in Men Style Fashion of our Manuk Oxford Brogue pictured at the top during their Luxury Fashion Week in London. So the lesson is the more formal the situation the less broguing there should be as a rule of thumb. In that case, you may want to match your belt with your shoes. Of course, brogues bring versatility to your wardrobe as you can wear them with much more casual wear and maintain a dapper feel. Ultimately, there is no snobbery here, Gucinari provide an array of styles to pick from and trust your instinct as to what works for you whatever situation you are in.